To get through your work day, you don’t need bigger muscles or more brainpower, you need stamina. Get staying power with a pair of Timberland PRO Men's 85594 6-Inch Helix Waterproof EH Alloy Toe Boots. These brown boots are made with Timberland PRO's PowerFit Com ... (see full details) (see specifications) #TMBTB085594214. To get through your work day, you don’t need bigger muscles or more brainpower, you need stamina. Get staying power with a pair of Timberland PRO Men's 85594 6-Inch Helix Waterproof EH Alloy Toe Boots. These brown boots are made with Timberland PRO's PowerFit Comfort System and backed by a 30-Day Comfort Guarantee. Built to last, these brown 6-Inch boots feature a sturdy upper crafted with waterproof leather. For even deeper waterproof protection, these Helix boots feature waterproof membranes. These features work together to keep your walk dry and comfortable. Anti-fatigue technology promotes all-day energy, thanks to shock absorption in key areas. These shock-absorbers return energy to the feet so you can work harder, longer. The antimicrobial mesh lining and single-density open-cell polyurethane footbeds in these EH boots are treated with an antimicrobial material for odor control. These waterproof boots are high-risk ready, thanks to the ASTM Electrical Hazard protection. The TiTAN alloy safety toe keeps your feet guarded against rolling or falling objects on the work floor. The alloy toes are also extra roomy and lightweight, so they’re comfortable AND safe. The molded EVA midsoles provide lightweight cushioned comfort. The nylon shanks give your feet structural support. The Timberland PRO rubber outsoles are designed to protect against a wide array of work floor conditions, thanks to the extreme heat-, slip-, and oil-resistant traction. They also feature Ladder Lock outsole radius. These abrasion-resistant boots were made with cement construction to allow them to flex with your feet and to reduce break-in time. Work through the worst work conditions in comfort and support with a pair of Timberland PRO 85594 Helix Waterproof EH Alloy Toe Men's Boots. Order your pair online today from the Working Person's Store. This is the best Timberland Pro boots out there. I have always worn Pit Boss Pros, but these boots are very " super comfortable " and light weight. I have been wearing these boots to construction sites for 2 years. They are still in great shape and I would not give them up for any other boot. They support my feet and ankles very well. The uppers take a beating but they still keep my feet dry. I have not had to replace the foot bed and they are still very comfortable. Great work boots, had them 15 months and running. I put in about 2-4 hours a day at multiple metals recycling facilities and face many obstacles. The Keen boots hold out well in rain, snow, etc. Only problem is I have to replace the inside liner with Dr. Scholl's after about 10 months. But this doesn't diminish the quality one bit. This is our third time buying these Timberland Pro boots. My husband is an AC technician, so the leather on the toes wears out because he is on his knees a lot. Otherwise, they have held up well and are very comfortable. If it weren't for the appearance of the boot, we wouldn't have to buy new ones because they are still functional... but they are pretty beat up! He also has very wide feet and these boots are comfortable. The soles and cushioning inside are great. The steel toe is fantastic, not uncomfortable at all. Also, they are a great color and hide dirt well. 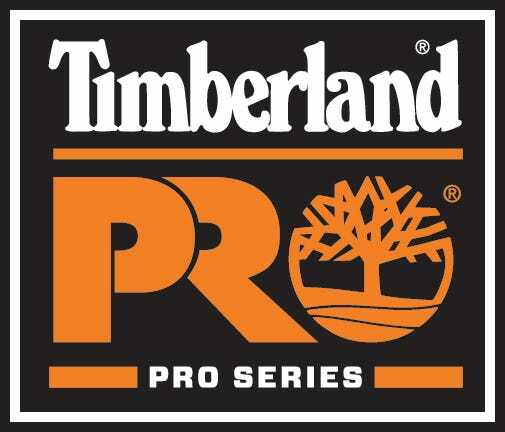 We have tried several other brands and keep coming back to these Timberland's, specifically buying them from Working Persons Store because they have the best price after doing a lot of research. Better then cabelas or wolverines hands down. Keep my feet dry warm and comfortable for my 12hr shifts on concrete. I like the fatigue I soles a lil extra cushion to get u through them long days. The over all construction holds up for along time was buying 2 pairs a year these last me for a year n im a bigger guy so a big plus. Timberland PRO Boots: Men's 85594 Helix Waterproof EH Alloy Toe Boots is being added to your cart.